Google relies on crowd sourcing to help keep its maps up to date. There’s no other approach that even comes close to being feasible. Sure, Google has employees on the job, roving the nation’s highways, byways, and back streets. 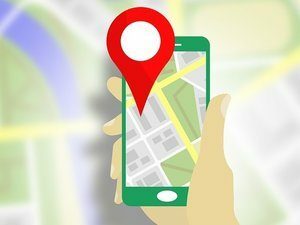 Even if the company employed ten times the number they’re currently using, their maps wouldn’t be nearly as accurate as they’ve become via crowd sourcing. Unfortunately, there’s a flaw in the system, and that flaw has been exploited in recent months by clever scammers. Here’s how it works: One of the things users can do is log in and edit maps, including the addresses and phone numbers associated with businesses like, say…banks. The scammers will change the phone number of a bank as it appears on maps, using a number that they control, with a smooth-talking con artist on the other end of the line. If a user is browsing maps looking for resources (restaurants, banks, etc.) which happens frequently when people are traveling, they’ll see the number helpfully listed on the map entry and call. They’ll be thinking they’re talking to a bank representative, who will, over the course of the conversation, ask them for their name, address, phone number, PIN, bank account number, etc. It all sounds very legitimate and straightforward, except of course that bank employees don’t actually ask for your PIN or account number. Of course, once the scammer has what they need, the call will be disconnected in the process of “transferring” the caller to some other department, and the damage is done. Google does mention the fact that banks and other legitimate services tend to keep requests for personal information to an absolute minimum, and that when contacting any business, it’s always best to get their contact information straight from the company’s website, rather than relying on the information found on maps, but sadly, that message isn’t getting through in at least some cases. Word to the wise, don’t rely on the contact information you see on Google Maps. Go straight to the source.